The Crompton 18 Watt T8 Triphosphor Fluorescent tube is ideal for lighting in the home, business and commercial use. Tube measurements are 600mm Length (incl pins), 590mm (excl pins) and 26mm diameter. Please double check length of this tube before ordering as some manufacturers have different T8 tube lengths, despite having the same wattage. Available in Cool White, Daylight and Warm White. T8 tubes provide excellent colour rendering with high output and extended life. G13 2 Pin end cap connectors. 15,000 hours average rated life. Energy Efficiency Rating B and CE approved. 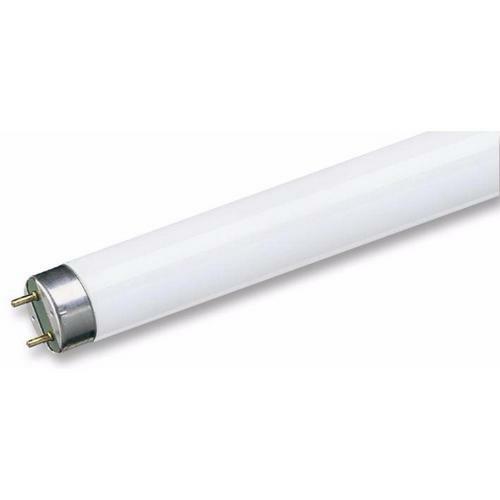 You may also be interested in the T8 30 Watt Fluorescent Tube. Low price,fast well packaged delivery.Great service.